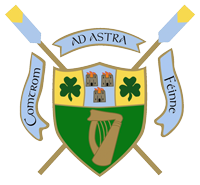 UCD Ad Astra graduate Claire Lambe and current student Paul O’Donovan continued their preparations for the Rio Olympics with 7th and 4th place finishes respectively at the Rowing World Cup II in Lucerne. Paul and brother Gary again showed that they have the speed to challenge for medals in the LM2x, finishing 4th to the three most recent World Champions and just a second off bronze. Combined with their 2nd place finish at World Cup I in Varese, the O’Donovans are in with a chance of winning the series if they can place highly at World Cup III in Poznan beginning 17th June. Claire Lambe and her crewmate Sinead Lynch won the B Final of the LW2x, placing 7th overall, as their form continues to improve promisingly at this vital part of the season. The world champions of the last three years took gold, silver and bronze at the World Cup in Lucerne yesterday, with the one crew threatening to muscle in on the party being the young unit from Ireland. The world champions of the last three years took gold, silver and bronze at the World Cup in Lucerne on Sunday, with the one crew threatening to muscle in on the party being the young unit from Ireland. Rowing: Ireland’s Paul and Gary O’Donovan finished fourth in the A Final of the lightweight double sculls at the World Cup in Lucerne this morning. France’s new crew of Pierre Houin and Jeremie Azou were impressive winners, with Norway holding off charges by South Africa and Ireland in the final 250 metres to take silver. Rowing: Ireland’s lightweight women’s double won the B Final emphatically at the World Cup Regatta in Lucerne this morning, placing seventh at this prestigious regatta. The crew of Sinéad Lynch (née Jennings) and Claire Lambe had come very close to taking an A Final place. They dominated this B Final.